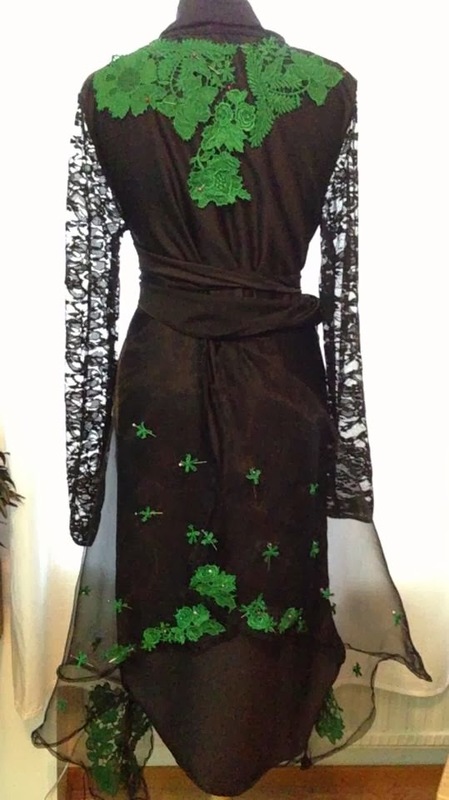 The Circus Dress for Fräulein Frauke. Black dress for Elegy Ellem's Bat Night act. 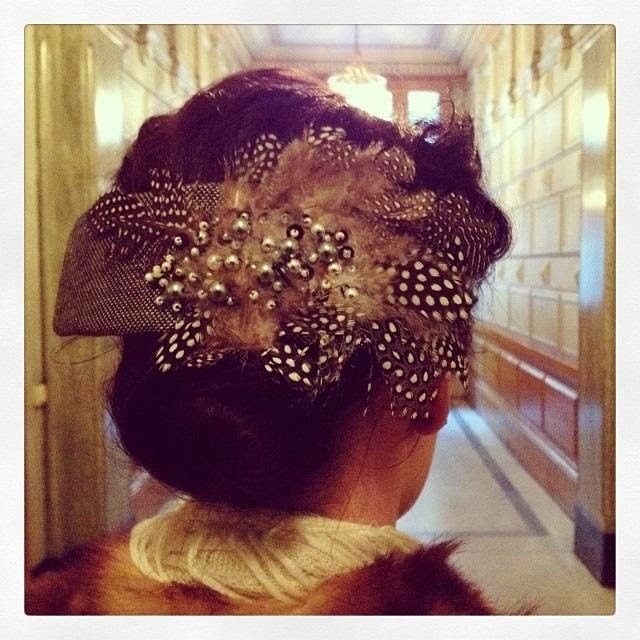 Part of a costume in progress for Contessa Blackbird. 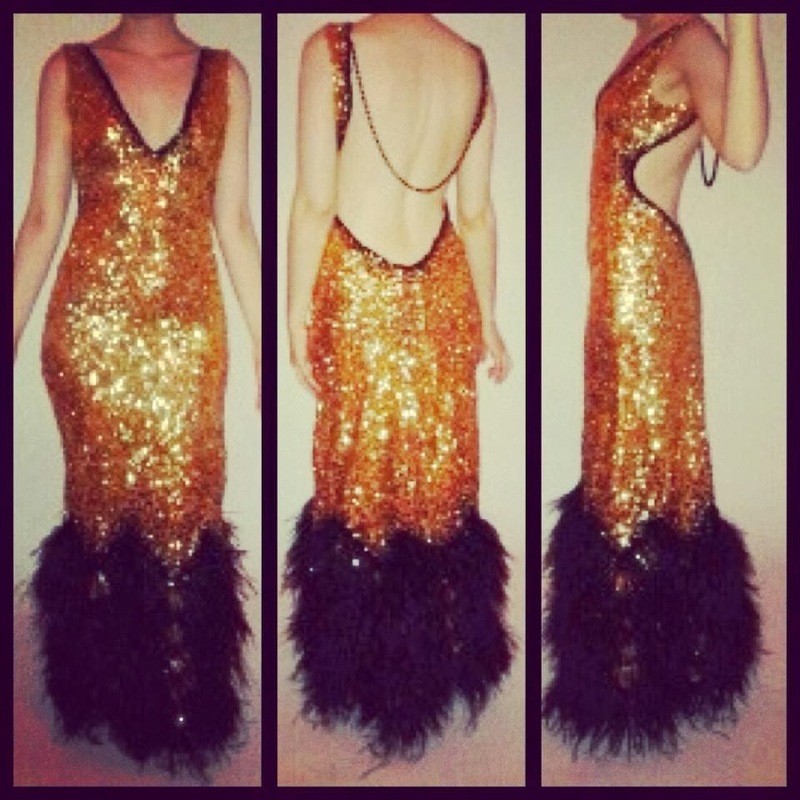 30s inspired New Years Eve dress for Elegy Ellem. New Years Eve dress for Fräulein Frauke. 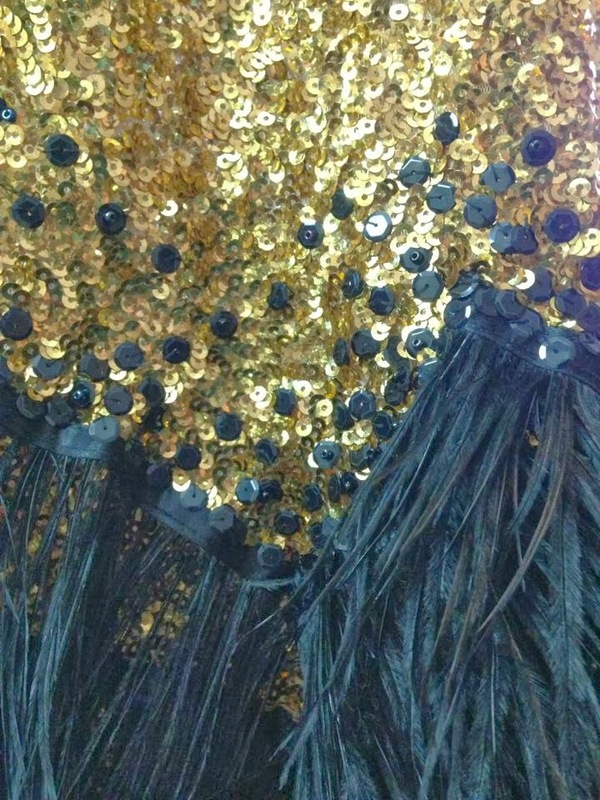 Detail of the dress above. 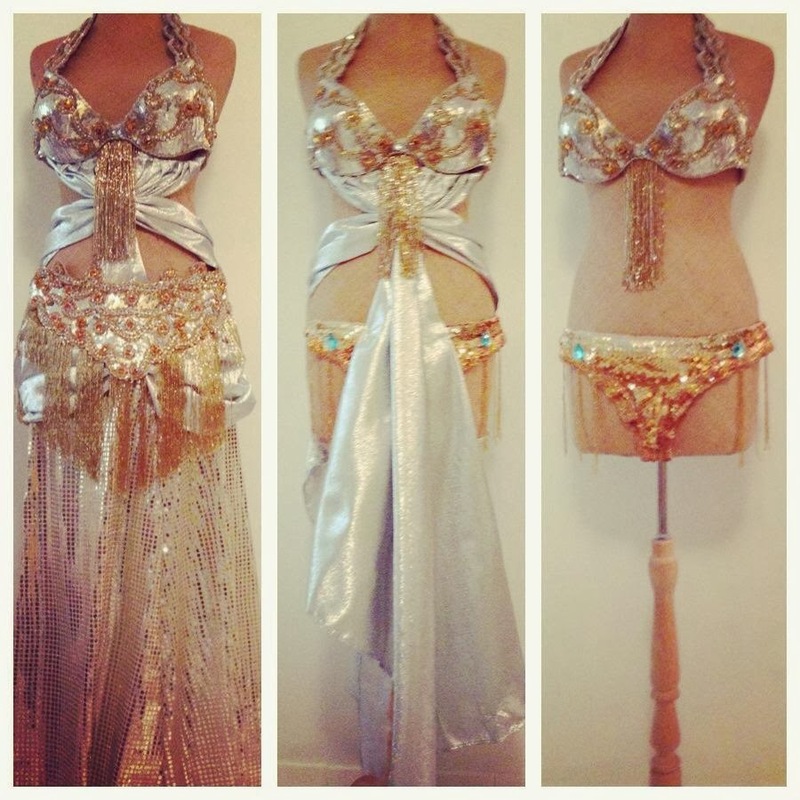 Belly dancing outfit for Yvette Les Fesses. 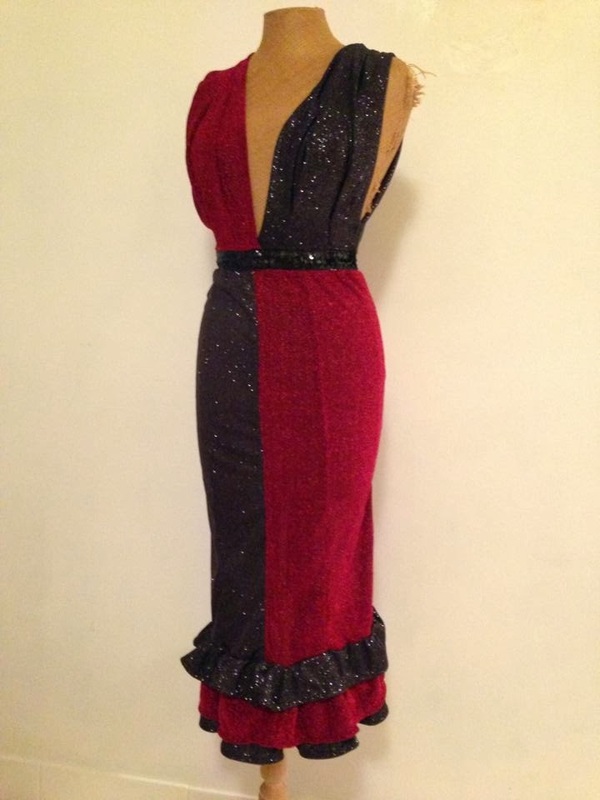 Harley Quinn dress for Elegy Ellem. 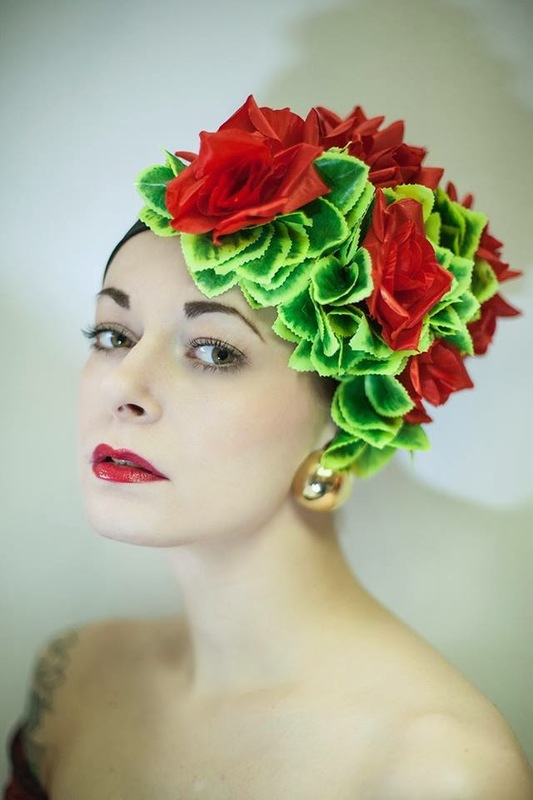 Carmen Miranda hat, modelled by gorgeous Fanny herself! Hat for me!!! I didn't even ask for this, she just made it anyway! As you can see, Fanny makes creations that doesn't have to be used on stage too. 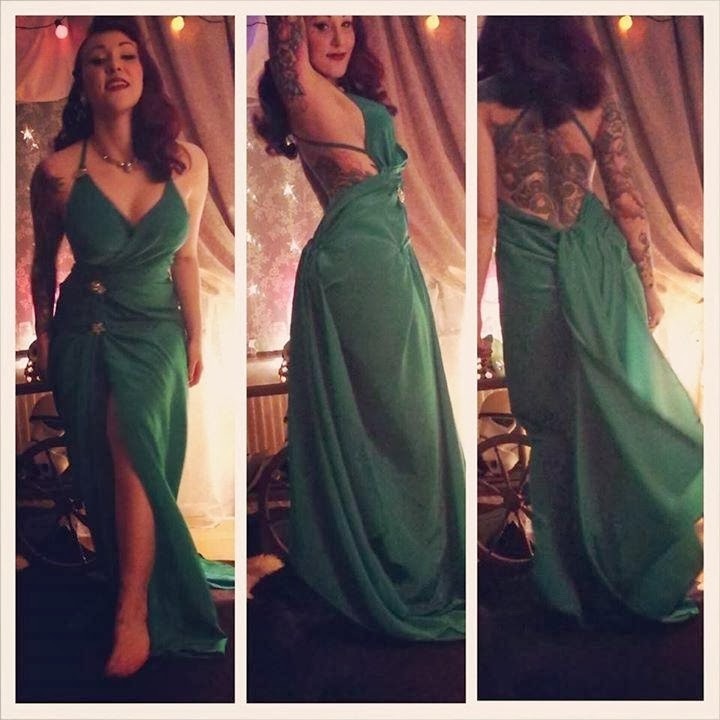 If you feel like you need a costume, fancy dress, or maybe a hat, you can always contact Fanny on her Facebook page Stage Fright here! How I love this work! !